Tom B. mentioned that the President’s Brunch will be Dec. 2. This is always a lot of fun. Carl will be available after the meeting for questions. Eric E. introduced the first of two speakers. Kathleen is with the Silicon Valley Leadership Group. Silicon Valley is defined as the counties of Santa Clara, San Mateo, San Francisco, and lower Alameda County. The Group uses Southern California, Austin, Boston, New York and Seattle to make comparisons regarding quality of life. When she asked us what we thought the biggest challenges of this area are, no surprise we all said traffic and housing, these are the greatest challenges they are addressing. The population in Silicon Valley has been increasing since they began tracking in 2010, until 2016 when the population began to decline. The areas used for comparison are still increasing. The median home price in the Valley is now over $1 million. California needs to add 180,000 homes each year to keep up, but only 80,000 units are built. This shortfall is one cause of homelessness. Sadly, 300,000 children in California are homeless. Jobs are up 29% but housing has only increased by 4%. Traffic is another problem we all experience. We are second only to NYC for average time spent commuting in traffic. One way to help with the traffic is to build homes closer to public transportation. She mentioned some measures that are on the upcoming ballot. Prop. 1 is a $4 billon bond which helps with housing costs and affordability in a variety of ways. Prop. 2 is a $2 billon bond to help with homelessness and the mentally ill. Kathleen acknowledged both of these are bonds are expensive and imperfect but they begin to address this very important issue. 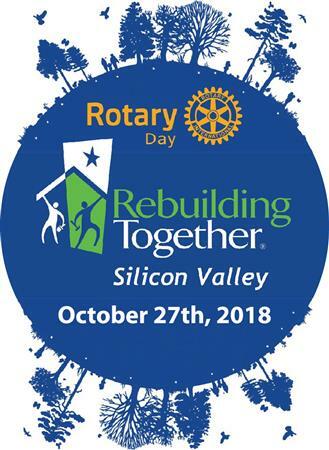 Silicon Valley Leadership group is one part of the puzzle to address the challenges facing our area as there is no single way to solve our problems. They are involved in policy, programs, such as the Housing Trust of Silicon Valley, advocacy, and projects including building housing on land owned by BART. Two new members were inducted. The first was Radhika sponsored by Gordon. The second was Doug who was accompanied by his wife Marjorie. Eric E. introduced the second speaker our own Nicholas, who spoke about what to do when a loved one passes. Nicholas spoke not only from the point of view as a Funeral Director, but also as someone who lost a family member at a young age. He told us about the documents that are needed when someone passes such a will or trust, Power of Attorney, etc. but also things like military discharge papers that we might not even think about. He told us there is so much to do during the “tornado” that occurs when someone dies including writing an obituary, but a person’s story needs to be told. He called this “the DASH”. He made the comparison of planning a wedding over the course of a year, but his brother’s funeral took place three days after he died. He told us about a new program, Everydays, a new way to get information out to family and friends and to get RSVPs for receptions, etc. After going over the practical aspects, Nicholas talked about the grieving process. He had a lot of good advice and reminded us everyone grieves differently. One thing many people don’t expect are the physical symptoms you may feel. He made the point that if you think about the person, let the family know. He said it so special when he knows the impact his brother had on others even after a few years have passed. We were invited to a showing of The First Man at Saratoga AMC on Oct. 18. The movie is free and there will be a presentation about this topic. Thank you, Nicholas, for sharing your experience with us. Andrew closed with a quote from Mark Twain. October: This is one of the peculiarly dangerous months to speculate in stocks. The others are July, January, September, April, November, May, March, June, December, August, and February.